• < the start of a tag. • > the end of a tag. • “ the start and end of an attribute value. • ' the alternative start and end of an attribute value. • & the start of an entity (which ends with ;). Luis is a Software Engineer with more than 10 years of experience in the Software Development sector. He was born in Monterrey, Mexico and some of his favorites things in life are playing videogames, reading about history & running like there is no tomorrow!.. Some say he is the prince that was promised but maybe Melisandre & Jon Snow disagree on that. 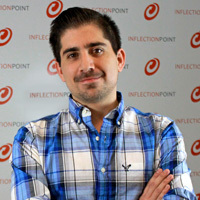 He is proud to be part of the Inflection Point blogger crew.